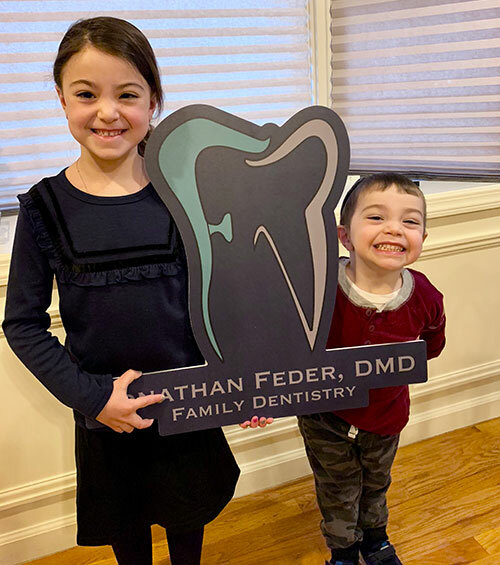 Welcome to Jonathan Feder – Family Dentistry in North Arlington, New Jersey! We stay open later and have Sunday appointments for your convenience. Our dental practice is a welcoming, comfortable environment for all ages. We always treat our patients like they’re members of our family. We use the latest technology to provide more efficient dental care. Our office stays open later and has Sunday appointments for your convenience. Ever heard the saying that a smile is your best accessory? We’ve seen time and again how someone’s life can change when they have a bright, beautiful smile. Good oral health is connected to your overall wellness, not to mention that it can mean a boost in self-esteem too. At the end of the day, the Jonathan Feder – Family Dentistry team wants to help you have healthy, great-looking teeth, so you can enjoy the dramatic effects of a confident smile. With our comprehensive services, we can truly do it all: whiten, straighten, repair, replace, and transform teeth. If you aren’t looking for anything drastic, we can still look after and clean your teeth so you can rest easy knowing they’re in their best shape for years to come. Not sure what you need? Don’t worry, that’s what we’re here for. We’ll let you know if we see any concerns, and we are happy to provide consultations for your smile goals.